Enjoying the summer’s first honeysuckle. I introduced Claire to this little bit of magic and of course she was smitten! My GPS died a couple of months ago and I’ve been braving the streets of suburbia with no guide, aside from my four year old backseat driver (who ALWAYS points out when your “dinkers” are not being used when turning). I have a nice group of parks and libraries that are easy to get to, but I cling, CLING! to that GPS once I venture outside a 10 mile radius of my house. For a little background info: I grew up on Long Island and everything was laid out in a grid. You had to try, and I mean really try, to get lost there, which of course I did. Embarrassingly often. Here, the county roads names frequently change as they wind up and over the mountains. Things are relatively well marked, but not always. With that in mind, rewind to last week when I had plans to visit a peony farm mentioned in Martha Stewart’s magazine. I blew right by the one of the last turns and without realizing it, traveled through an additional two (unmarked I swear!) 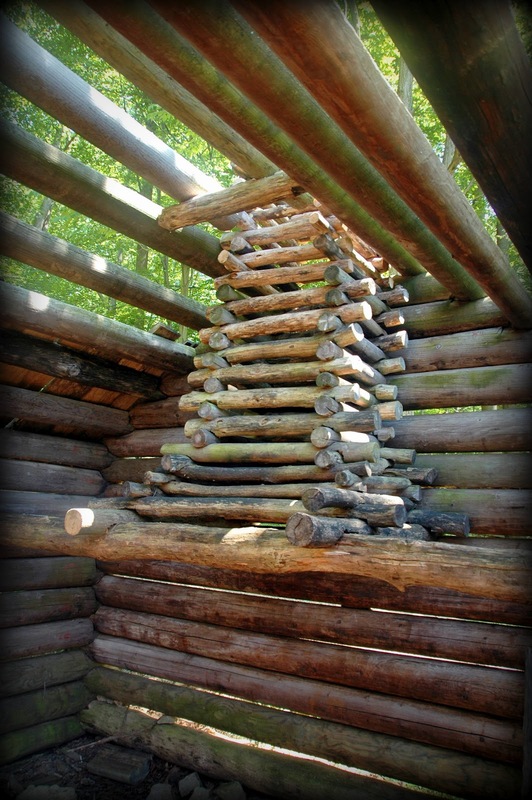 towns and wound up at Jockey Hollow National Historic Site. Since it was on my list of must-see places anyway (well, insofar as driving past the brown signs on occasion and adding it to my mental list) I decided this was now our destination. If parenting has taught me anything, it’s that making plans is futile and and life is more enjoyable when you roll with whatever you’re dealt. Food and Simples Garden at the Wick homestead, lots of beauties that I want to add to my own collection! I knew nothing about the site aside from the fact that it had something to do with George Washington. 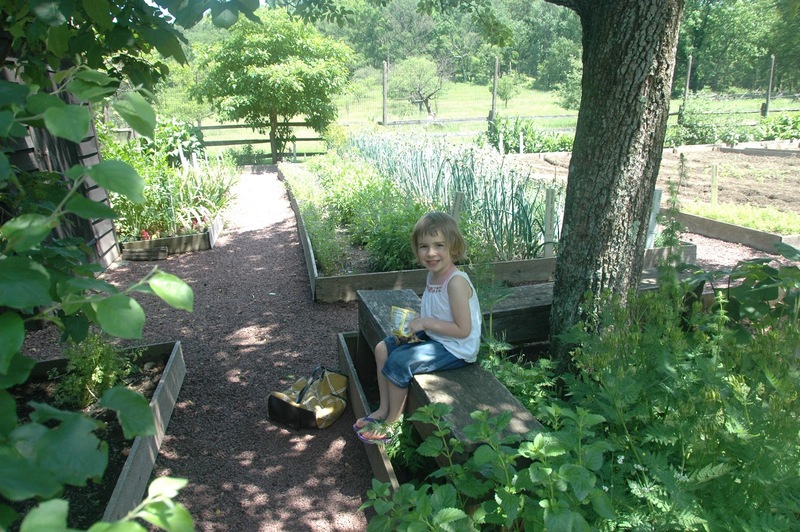 What a pleasant surprise to find a 1700s homestead complete with working garden to explore (yippee! a garden, just what I wanted). 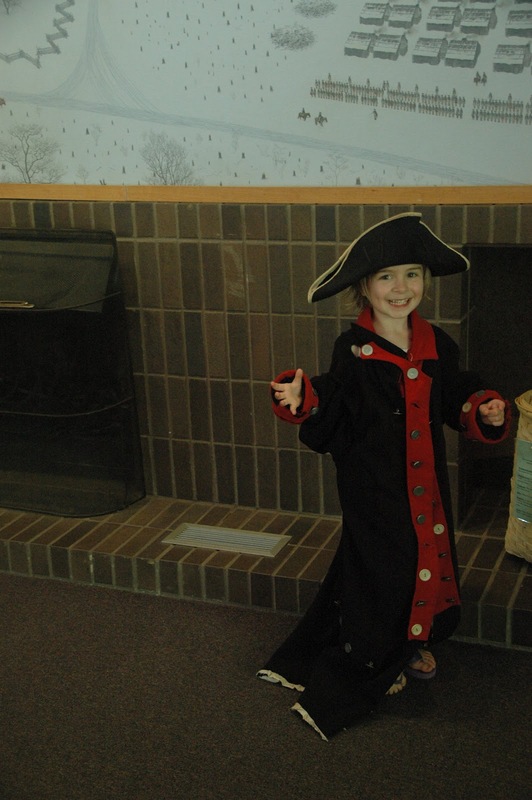 We watched a video in the visitor’s center about “The Hard Winter” tried on some revolutionary era clothing and set out to find the cabins the soldiers built to wait out the coldest and snowiest winter on record. 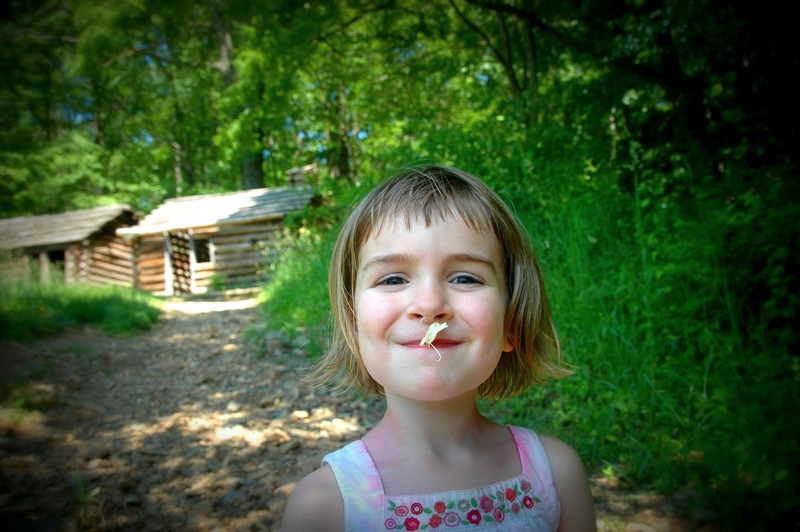 After watching the video, Claire was so excited when we drove down the road and discovered the cabins in real life. 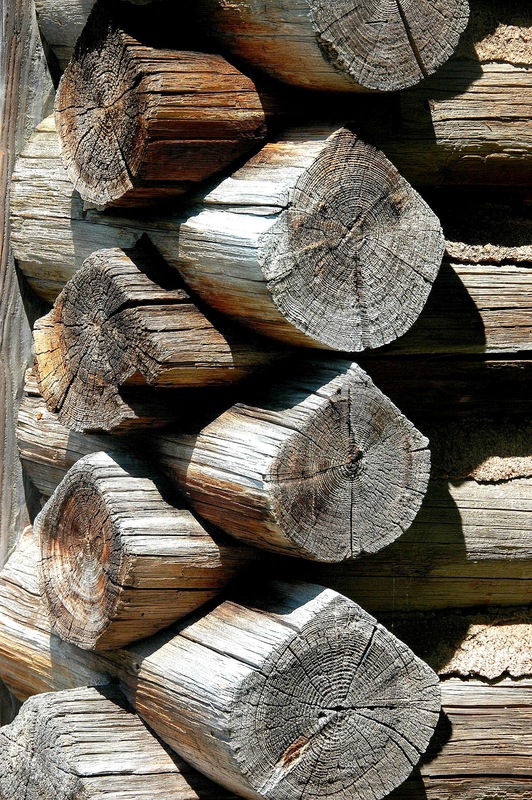 Judging by the hardware used to fasten the logs I’m going to guess they’re reproductions, the dimensions and layout of the cabins are true to the originals.We’ve done a fair share of camping and Claire took one look at the gaps in the logs and decided it must have indeed been a rough winter. These are the kind of connections between real life and history that I hope we can make in the next year or two. Claire misses the Kindergarten cut off in our town (by 8 days mind you!) so our version of “school” until her full-day program in first grade begins, is going to be a lot of field-tripping fun. 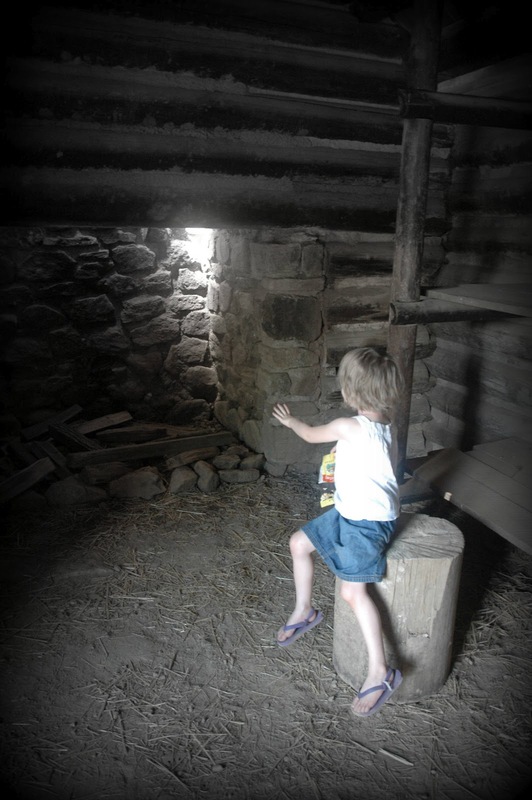 Granted, we’ve been doing this all along, but age 5 seems to be a magic number in this area for all of the special programs at the local historic sites and museums. There is so much to see and do out there, I’ve been glued to my computer just bookmarking sites and calendars — everything looks very exciting and judging by some of the complicated driving directions I’ve printed out, it might just be time to replace that GPS! And here are a few more pictures of that gorgeous garden. I'm with you Debbie, I have a love-hate relationship with my GPS too. I have an iPhone now and am finally reconnected to those satellites who tel me where to go. The GoogleMaps app is awesome!